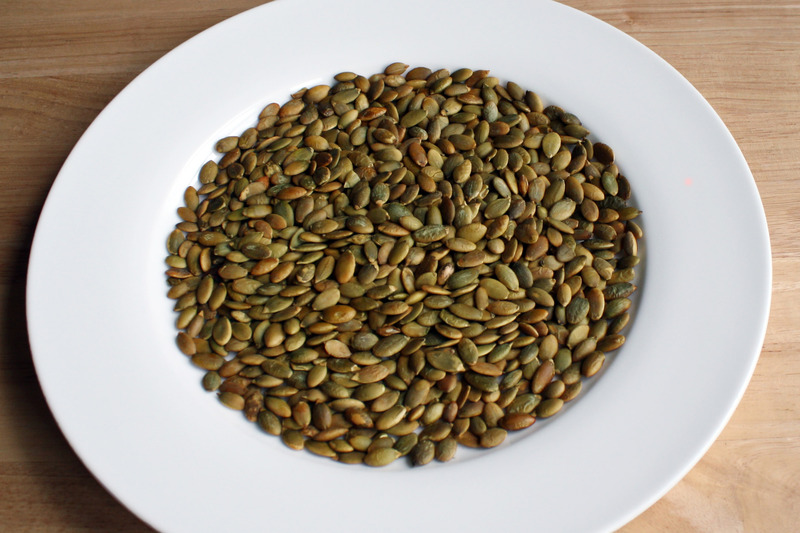 Delicious toasted pumpkin seeds – the perfect satisfying topping for vegetable dishes or light snack! Spread pumpkin seeds evenly across a baking sheet. Optional: sprinkle with sea salt or Herbamare. Bake for 30 minutes or until slightly roasted.